Penn Jillette, magician and co-creator of the bizarre unreleased SEGA CD game, Desert Bus, expressed his support for the video game industry this morning at DICE, defending it as an art form and shooting down the notion it breeds violent behavior. 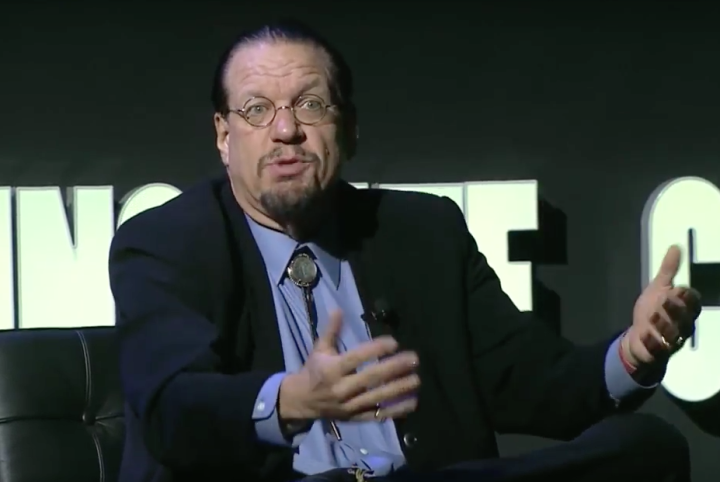 Jillette also discussed with Pitchford the similarities between magic and video games, highlighting the importance of perceived choice. One of the greatest challenges, according to Jillette, “is to have someone make a totally free choice, put their attention exactly where they want” and be aware of that choice. Having the ability to “exploit a certain kind of trust” with the audience is crucial, he explained, noting the ability to discern the location of a person’s attention is “the most important skill a magician can have.” Likewise, it is just as important for game designers to be able to give the player a choice, but at the same time direct them and be aware of their decision.